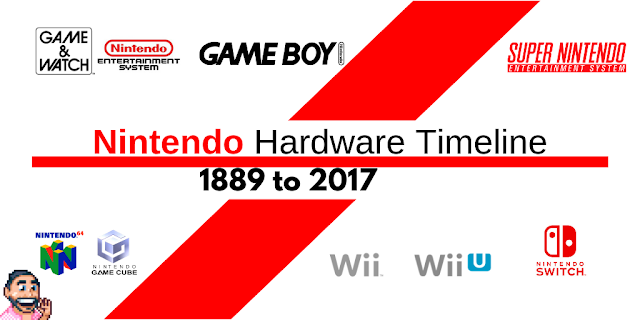 There are some retrogaming games out there that really need their native controller or control method to be present to enjoy the game to its fullest. 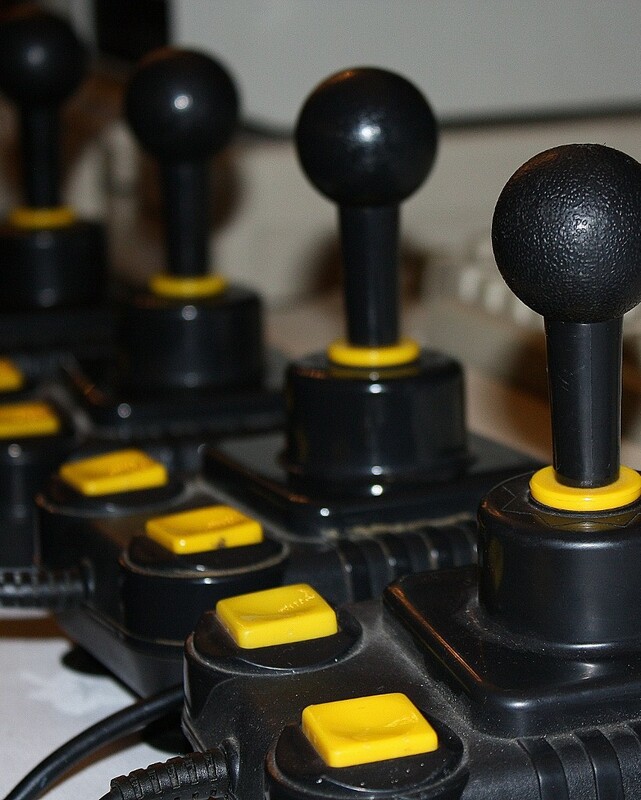 Some control methods were built specifically for that video game and other contollers or control methods were ones that I stumbled across in the days of joystick experimentation on the older systems such as the Commodore Amiga and SEGA Megadrive. Here's my favourite examples of games that just need to be played with a certain type of controller to really enjoy them! The Q*Bert Arcade machine cabinet was always a great looking cab and the joystick is a little quirky too as it's set up on the angles to assist with navigating Q*Bert around his pyramid. Playing Q*Bert on anything else apart from the arcade cabinet version was always just not quite right as for me the arcade joystick made the game. Golden Tee can only be played with a trackball! It's one of my favourite golf games of all time and just perfect for loads of fun with friends. There's no better feel in all of golf video games than nailing a monster drive using your trackball and following through by slapping the screen in an over the top fashion! It just wouldn't be the same if you were using a joystick instead.......then it would just be an average golf game at best! Another example of an awesome trackball video game. For me, Missile Command never ages. 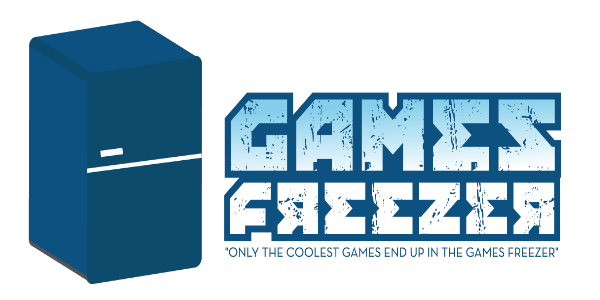 It's a simple concept that was supremely executed in its original arcade release. The thing that set the arcade release apart from the great home console release on the Atari 2600 was the awesome control afforded by the trackball. The trackball gives you the precision and speed to defend your cities like a true pro that the Atari joystick just couldn't quite match. For me, the trackball truly enhanced the whole Missile Command experience which is an experience that is still great today. This was for me the first arcade shooter I played where there was a gun incorporated into the arcade cabinet. This game still gets my money now whenever I see it as I just love the recoil and the noise the mounted machine gun makes, it really adds to the gameplay. It's a proper rat-a-tat-tat with a nice chuga-chuga-chuga recoil if you know what I mean?! Growing up trying to be great at Sensible Soccer was an all consuming past time for me during my teens. A game like this sapped all your time and led to some awesome player vs player showdowns. 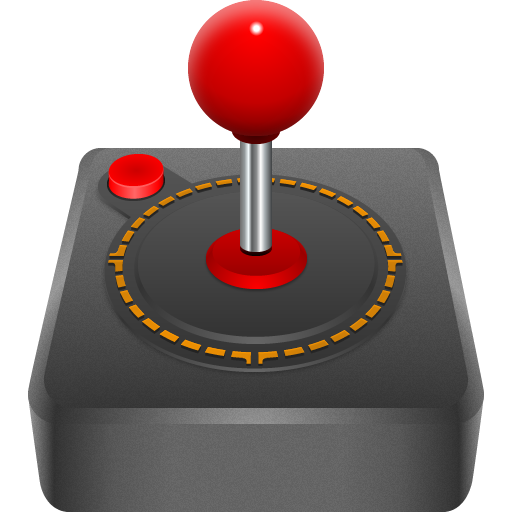 Having the right joystick meant the difference between winning and losing. For me the Zip Stik joystick was the ultimate Sensi Soccer joystick. The Zip Stik has those suction feet that give you the stability needed for a precision game like Sensi and also the satisfying click of those switches as you pull diagonally back to launch a high shot into the top corner from 35yards! Sensi is all about getting your angle and trajectory of shot just right and then you will score goals,goals,goals! If you try and play with a joystick that doesn't have a firm base then the long shot becomes that much more difficult. 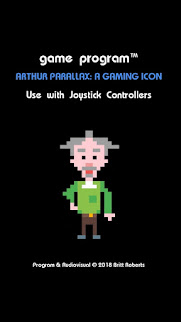 Also having a solid joystick means that passing is so much easier. 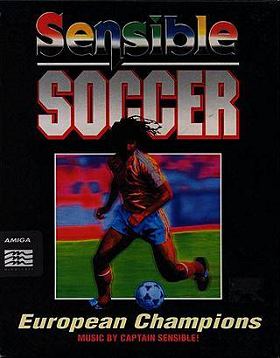 I recently downloaded Sensi from Good Old Games and attempted to play with a Windows XBOX Joypad.......it was awful....to truly enjoy Sensible Soccer, you NEED a Zip Stik! 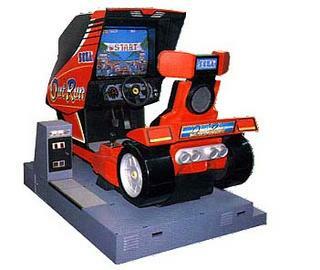 Out Run ranks as one of my all time favourite arcade games, it has it all. It looks good, it plays good, it sounds good AND it's lots of FUN! This choice is less of a video game specific controller it's more about the overall experience you get when you play Out Run as it was meant to be played......INSIDE A Deluxe Arcade Cabinet! The deluxe cab is an absolute blast! You get the in car look coupled with speakers by your ears and some hydraulics to lean you into each corner and swerve. For me this is THE arcade cab to die for and my definitive way to play the game. When the game was ported to the home computers and consoles it was always a struggle to find a great conversion, but even the best conversion would be no match for the mighty deluxe cabinet. No manner of steering wheel controller could ever recreate a fully kitted out deluxe cabinet. The thing is, this bad boy is more than a cabinet or a controller it's a full blown Ferrari!!! 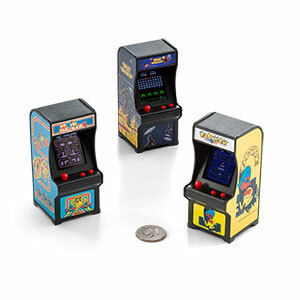 When I win the lottery the Deluxe Cabinet will sit pride of place in my video games arcade. Ok, let's keep the theme of the deluxe cabinets and throw this baby into the mix! You cannot beat playing Afterburner on a deluxe cabinet.....FACT! The deluxe cabinet gave you the full on in your face Afterburner experience by moulding together the rolling movements and sideways tilting movements of the cabinet which basically meant you felt like you were actually flying that jet fighter! My first experience of this cabinet left a massive impression on me that has never left me or been bettered. Again, this is not strictly a choice of controller but more about a choice of experience, an experience that can't be matched on any other home console set up or cabinet type. 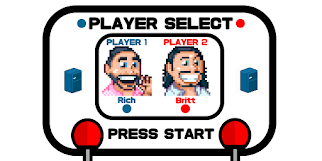 If you ever see this game in an arcade, you owe it to yourself to play it immediately!